Prepare to travel to another dimension this November as Star Wars: A New Hope is presented live in concert for the first time in the UK at the Royal Albert Hall. The film, the fourth episode of the George Lucas saga, has been seen by millions but you won't have seen it like this before. It'll be projected in high-definition on the big screen, accompanied by the London Symphony Orchestra playing John Williams' spin tingling score. 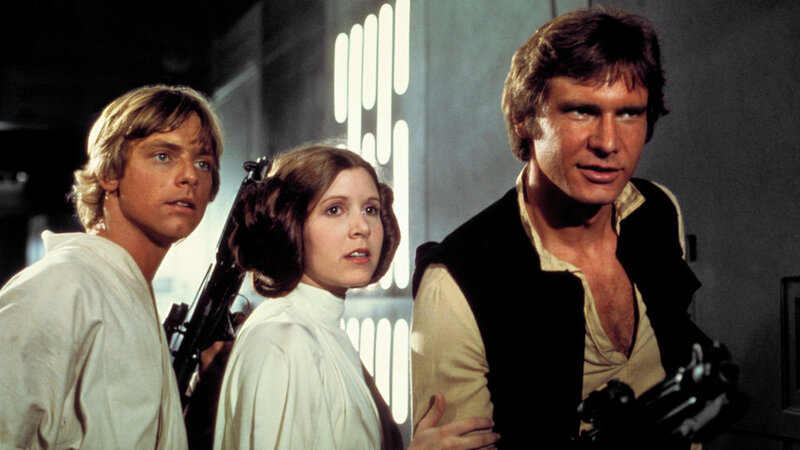 Lucy Noble, Artistic Director at the Royal Albert Hall, said that during the nine years 'Films in Concert' has been at the concert hall, "there's one movie that's been requested more than any other, and that's Star Wars: A New Hope... There's simply no film - or score - that's more iconic." What are the best dining options near Star Wars: A New Hope in Concert London? Star Wars: A New Hope in Concert gyms, sporting activities, health & beauty and fitness. The best pubs near London Star Wars: A New Hope in Concert. Star Wars: A New Hope in Concert clubs, bars, cabaret nights, casinos and interesting nightlife. Where to have your meeting, conference, exhibition, private dining or training course near Star Wars: A New Hope in Concert. From cheap budget hotels to luxury 5 star hotels see our deals for Royal Albert Hall hotels, including Cheval Thorney Court Apartments from 55% off.